The AmeriGlide 325M 3 Position is a three-position lift chair built with a steel lift mechanism rated for a 325-pound weight capacity, and a full chaise pad for advanced total body support. The 325M is available in a variety of colors, so you can easily customize this lift chair to match your other furniture. A one-year in-home parts and service warranty is included in the purchase price! Marcia from the Cape from Massachusetts would recommend this to a friend. 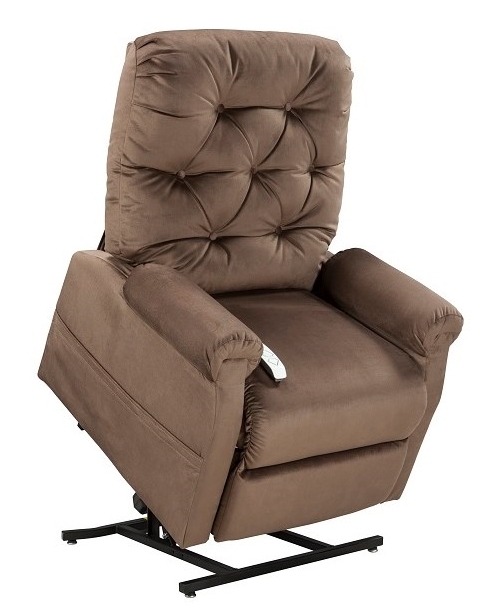 This lift chair is very comfortable with nice colors and a soft fabric. Excellent service and delivery! I am very satisfied with this purchase.